Today’s in my kitchen this crispy fries using our own Pavakkai which grown in my window .It was very tasty as it was home grown. 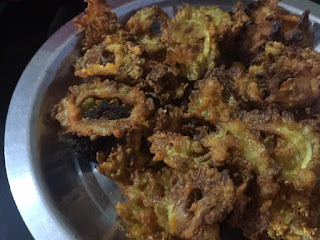 This fries is a great tea time evening snack and a good side dish for variety rice & curd rice.Do make this South Indian style crispy bittergourd fries recipe and enjoy! In my childhood days my grandma(aaji) making bitter gourd variety of style. curry (coconut onion roast) just like mutton gravy . fry , kokam/ dry sabji..
Its very healthy try to add this veggis in your daily meal. Wash and slice the bitter gourd to a thin roundels.The key to get crispy bitter gourd fry lies in cutting the slices. If u want to remove the bitterness of bittergourd to a certain extent,follow this step.Add 2 tbsp of curd + salt and mix the bittergourd well.Leave it aside for 10 minutes.It will start to leave water,Squeeze the bittergourd pieces and discard the water.Now Karela / bitter gourd pieces look dry without any water.If u don’t want to remove the bitterness,skip this step and proceed to the next one. Take the bittergourd pieces to a bowl.Add curd,salt,turmeric powder,sambar powder or red chilli powder,besan flour and rice flour.Mix well.Sprinkle very little water using a tbsp and coat the BG pieces well with masala.Add little more besan flour if u need.Check for taste and add more red chilli powder and salt . 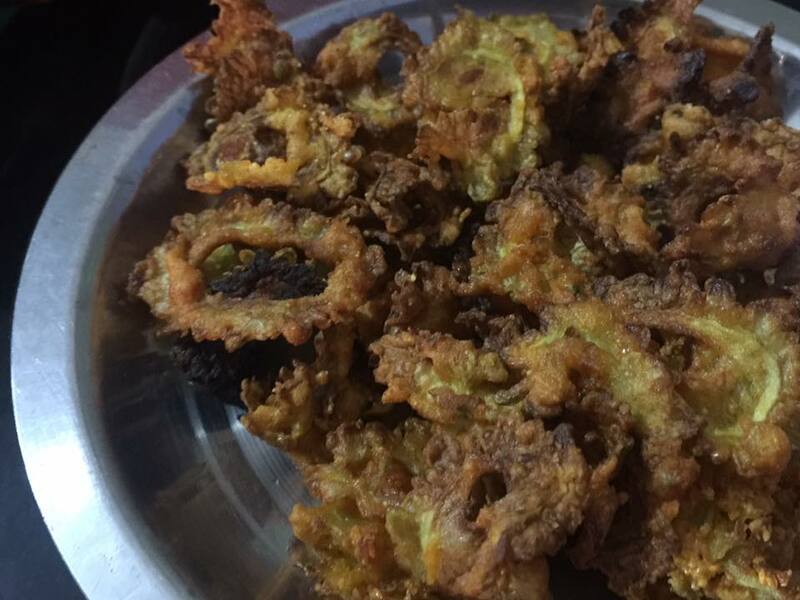 Heat oil to deep fry.Check the temperature of oil by dropping a pinch of batter,If it rises immediately to the top,simmer the flame and and put the bitter gourd pieces into the oil . Deep fry both the sides till it turn crispy and golden brown. Enjoy with rice or as evening snacks with tea/Coffee!